Specialized in Stainless Steel Jewelry and 925 Sterling Silver Jewelry. You're makeing a good job. You are making such a wonderful effort. You are helping me a lot. Thank you for your excellent services Rain! Looking forward to working with you again. Thank you very much for the products, I am really satisfied with your service,looking forward to doing business with you again in the future. Plating Color: 18k Genuine Gold Occasion: Daily Life, Engagement, Wedding, Gifts, Party, Etc. 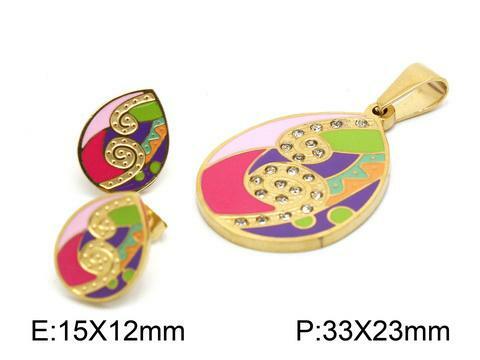 This Jewelry set were colorful with 6 color of enamel. 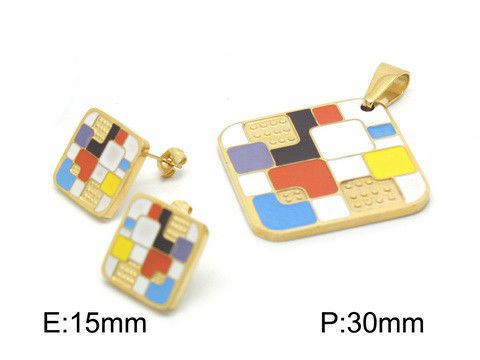 The set made of 1pc square pendant and 1pair mini squarepost stud earring. The square were made of more than 10pcs extra small colorful enameled square and 3pcs metal square. Plating color: 18k genuine gold. Material: 304 Stainless steel or 316 stainless steel or titanium with different quality and cost. All surface sides were polish by handwork, let the surface have good feeling when touch. Welcome OEM or ODM order. All items use high quality material of jewelry industry to make sure the high quality goods of jewelry. The stainless steel normally use pure 304 steel, 316 steel and Titanium for healthy item. Molding work-ship by machine, all polish by handwork and checked one by one, to let every item has the surface and feeling of genuine jewelry. Safe and environmental material and work-ship manufactured the environmental goods. With good quality on Non-deformation, no need worried on broken when do sports. With good quality on Non-allergic, no need worried on allergic when wearing long time including children and pregnant. With good quality on Non-corrosive, no need worried on the feeling and surface corrosive when bathing or swimming and normal washing. Capable of setting matching with earrings, bracelets, bangles, pendants, shoes, bags, watches, clothes, etc. Plating color and stone shinning can keep long time and can be matched with clothes or other accessories long time. Most of the workers in our factory have above 10 years’ working experience for high quality customers. We could manufacture the high quality goods in time and good price. All items can match with others to be sets or matched with your designs of season on your requirements. If we do this, the styles can match with your brands easily. 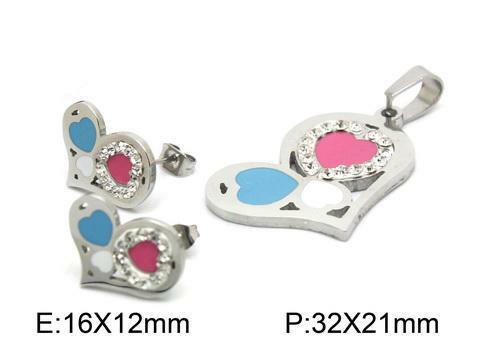 China good quality Stainless Steel Earrings supplier. Copyright © 2015 - 2019 ssteeljewelery.com. All rights reserved.